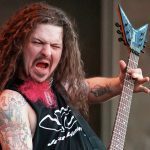 The story of metal music is a very interesting one. This genre slowly started coming out in the early ’70s with Black Sabbath showing us just how good the guitars can sound. From that point in time until today, metal has been through a lot. With all that said, there is one band out there who single-handedly pushed this genre of music from a very niche environment to mainstream. You’ve probably guessed it, we are talking about Metallica. This group of guys took a new and aspiring type of music, infused it with energy, and spread it out around the world. 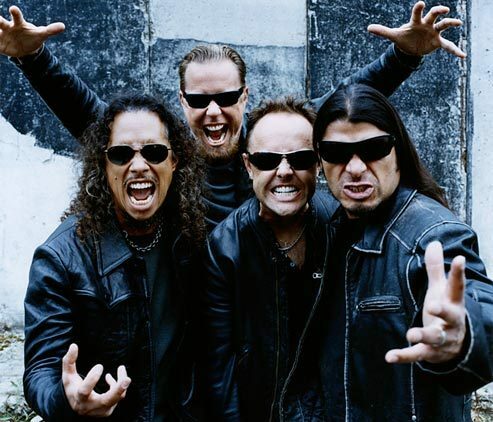 They are considered to be the face of metal music, even today. 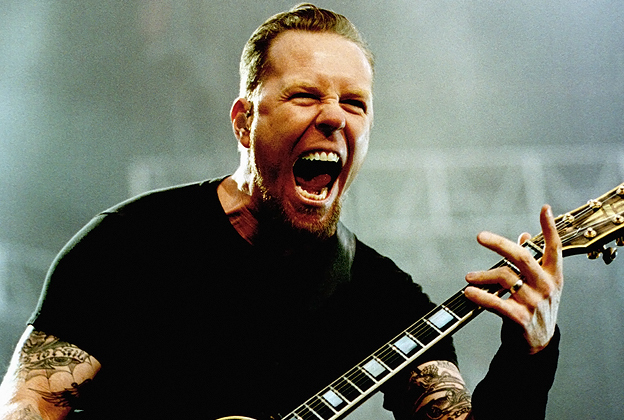 If there is one individual in this band who is responsible for the most of the achievement, it’s James Hetfield. 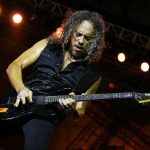 His talent, very peculiar singing style and overall great charisma are what put Metallica on the map in the first place. 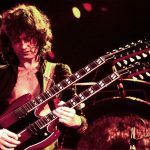 Today we are going to do a quick rundown of his gear, and see what he used or still uses on stage to this day. 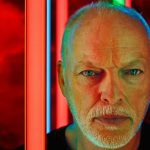 Achieving the type of hard sound Metallica relied the most on during their initial years was made possible by a very specific choice of gear they’ve used. Some of that stuff is considered a golden standard today, but some of it still remains somewhat in the shadows. Hetfield never liked to complicate things too much, but he did have his personal style when it came to his gear and setup. One of the most popular things about James Hetfield, aside from his music and talent, are his guitars. 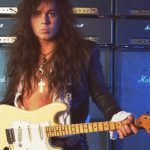 You will rarely see this man with a super Strat or Strat body guitar in his hands. It’s either Flying V’s, Explorers, or maybe sometimes SGs as well. The number of specific guitar models Hetfield has used over the years is too long to count, but we are going to mention some of the more memorable pieces from his collection. But first, here’s a little bit of Hetfield playing the riff for Judas Kiss, in case you forgot what he sounds like when he’s tearing up a metal riff. James’ Electra Flying V is by far one of his most interesting guitars. It was a cheap axe he got from a friend, but something about it kept him coming back to this rather mediocre guitar. Over time, he formed a bond with this instrument which is only possible when you go through thick and thin with it. In the end, his Electra Flying V was so badly damaged that it wasn’t even playable anymore. Even so, Hetfield kept this guitar and went on to restore it. These days it’s spending more time as an exhibit that something he would use on stage. His 1984 Gibson Explorers are also among the most iconic pieces in his collection. It’s no secret that Hetfield is a Gibson type of guy and that he prefers Explorers. 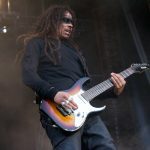 He has two of these awesome guitars – one named ‘So What’ and the other going by the name of ‘More Beer’ of all things. Both of these have seen a number of upgrades over the years, such as active electronics from EMG being installed and more. 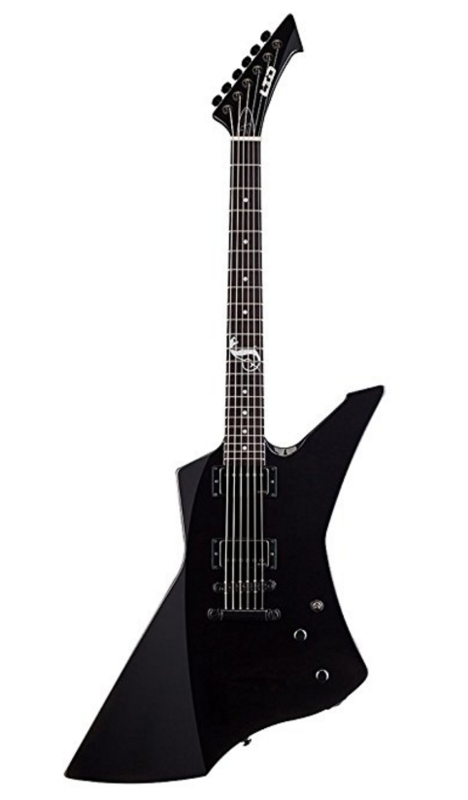 More recently, Hetfield has entered an endorsement deal with ESP guitars, which resulted in a number of great models being produced under his signature line. One of the more popular ones is the ESP LTD Snakebyte. 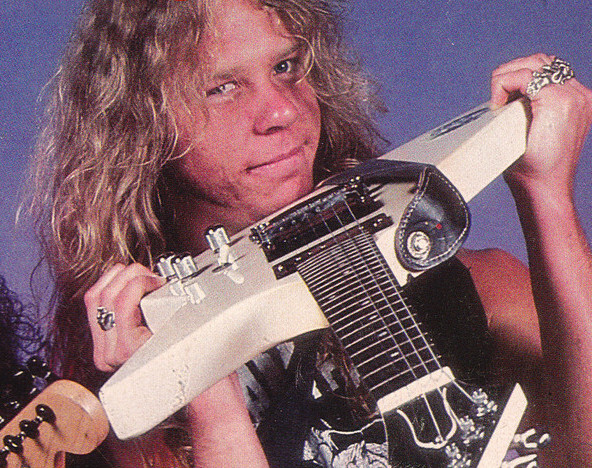 This six-string features a shape that is very similar to an explorer, and a number of upgrades Hetfield insisted on. When it comes to amps, things are pretty straight forward. 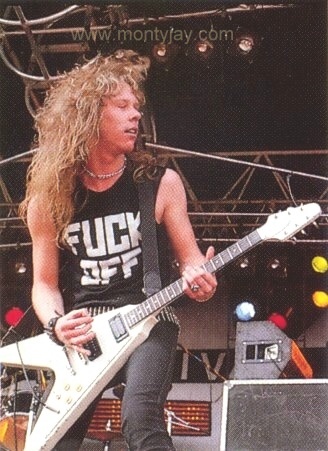 In his early days, Hetfield mainly used various Marshall amps. We are talking JML2203, JCM800, and others. Later on, you could see a number of Mesa/Boogies being included, most notably the MkIIC+ that was used on the Master of Puppets album. During the Justice For All period, some Rolands were included in the mix, and have remained present ever since. Somewhere around Load, Reload is when Hetfield started drifting away from the big brand amp and went on to experiment with more boutique type models. 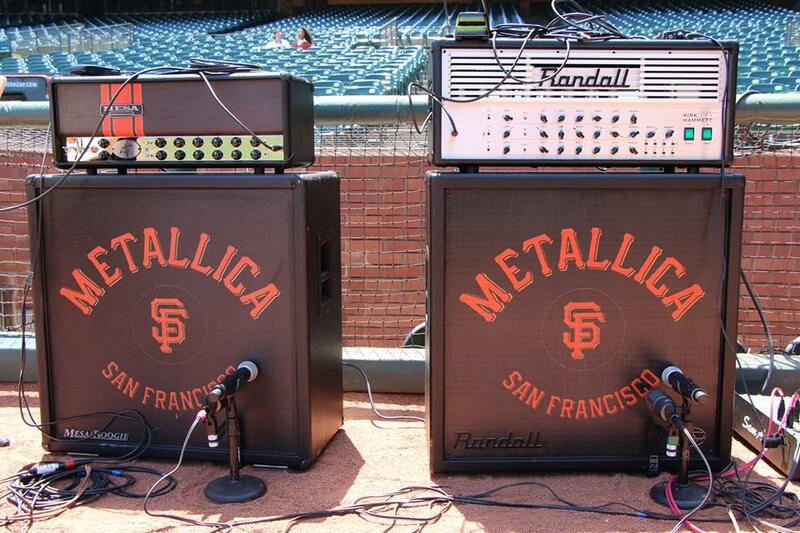 For example, St. Anger was performed mostly on a mix of old Wizard amps and Diezel VH4s. 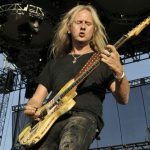 These days he is running anything from Krank Krankenstein to Revolution 1 heads. In terms of effects pedals, there really aren’t many that Hetfield has used over the years. He’s more of an old school kind of guy. If you can tweak it on the amp, why bother with pedalboards and other unnecessary tech stuff? We can start this very short list of guitar pedals with his distortions, which there are two. 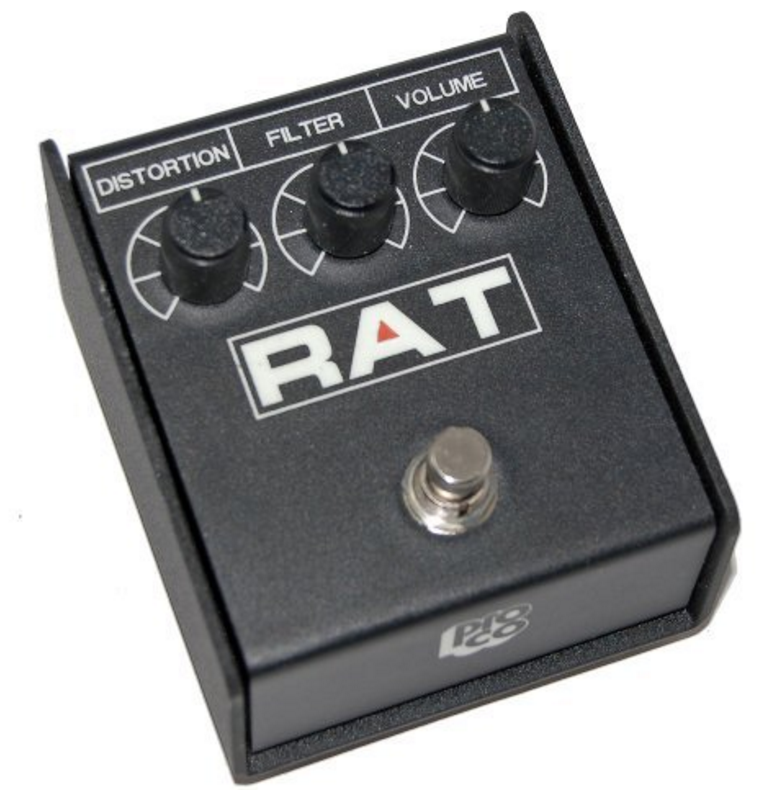 He is either going to be running a ProCat Rat, or the legendary Ibanez Tube Screamer. Both of these were features on some of the most popular albums Metallica has ever recorded. Aside from these, it’s worth mentioning his DigiTech Whammy and Dunlop Cry Baby Wah. James is a firm believer in wah pedals and selective signal filtering in general. These two pedals are what he turns to when it is time to spice things up. More recently James Hetfield ditched most of his pedals and instead uses a TC Electronics G-Major 2. This unit allows him to call upon various effects and tone colors used on their previous work with little to no effort. This has become his main solution since he has a dedicated tech who operates the board for him. What kind of impact James Hetfield had on modern metal music is still being measured, but it’s substantial. Needless to say, Metallica is one of the most popular bands on the planet, which has a lot to do with Hetfield’s talent and charisma. Metallica’s tone is not really that hard to dial in. You don’t even need a ton of specialized hear to get there. A good guitar paired with a decent tube amp gets the job done in most cases. On a similar note, Hetfield’s tone is exactly what defines the core of metal music. It’s not about finesse, but rather that pure driving force that gives the music its girth. Hetfield understood that from day one.